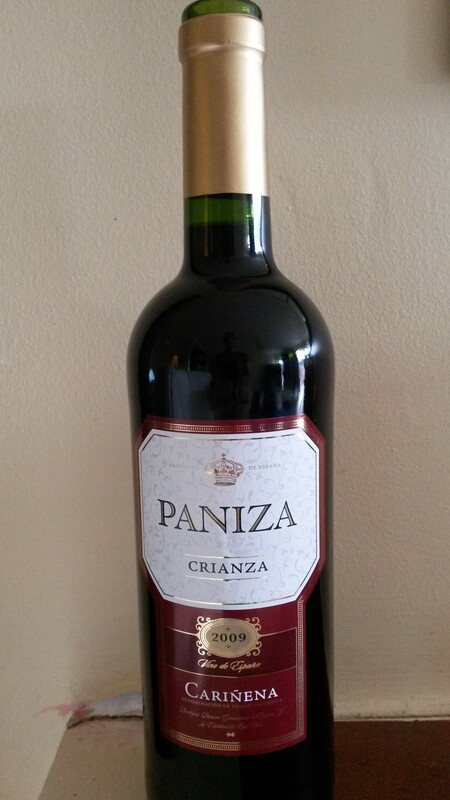 Paniza Crianza, Cariñena DOP, Spain, 2009. It’s very hard to find a good bottle of wine in Ireland for under €7 these days. When you consider the government slap €3.18 duty on every bottle of wine imported into the country, the value of the actual wine in the bottle becomes increasingly squeezed at the lower end of the market. On top of this the price of the bottle of wine, including the duty, is subject to 23% VAT. So, of the €6.30 I paid for the wine above, €4.35 goes straight to the tax man! As disgraceful as that it is (I’ll deal with this again), it is incredible that this wine can be so good. The costs of producing this include the land for growing the grapes, wages for a team of pickers, paying for the material and permits of running a winery (including expensive oak barrels), storage for 5 years, glass bottle, label and shipping costs from Spain to Ireland. On top of this the winery owner and the supermarket have to make a profit. All out of the remaining €1.95. So to say this wine is a bargain is an understatement. It comes from Cariñena, a wine region in the north east of Spain, that was first planted by the Romans. It is believed Carignan, a grape widely grown in southern France was first cultivated here. The region is quite high- 400-800m above sea level, and this altitude is crucial to growing good grapes in central Spain. The Summer heat, which can reach 38 degrees, is tempered by cool nights and a brisk northerly breeze known as the cierzo, allowing the grapes to relax at night after a day of sun baking. It is this diurnal temperature variation that is responsible for the quality wines of Rioja and Ribera del Duero further west. It was my father, always with an astute eye for a good bargain, who picked up this wine yesterday. I opened it and tested it through the Vin Aire to see what it was like with a little decanting, and perhaps needed it (a decanter would do just as well). An unusual blend for Cariñena, it is 60% Tempranillo and 20% each Garnacha and Cabernet Sauvignon. The wine is brick red in the glass, still fresh and fruity on the nose, despite it being five years old. Lovely aromas of blackberries, cherries, vanilla from the American oak and a little smokey- very inviting. In the mouth it is full bodied with nice tannins. The blackberries, cherries, oak are still there on the palate, but there is a lovely spiciness that complements the tobacco and chocolate flavours. The alcohol is evident on the finish though and I reckon it could well be higher than the 13.5% abv it says on the label. This really is fabulous value and if you like robust Spanish reds with plenty of fruit and lots of character, you will not do better anywhere near this price. I’d advise you to pick up a few bottles quickly though, as it seems to be a once off. I was looking through the Peñin Guide (a great resource for Spanish wines) and this wine got a score of 89pts. A great score for such a reasonably priced wine.